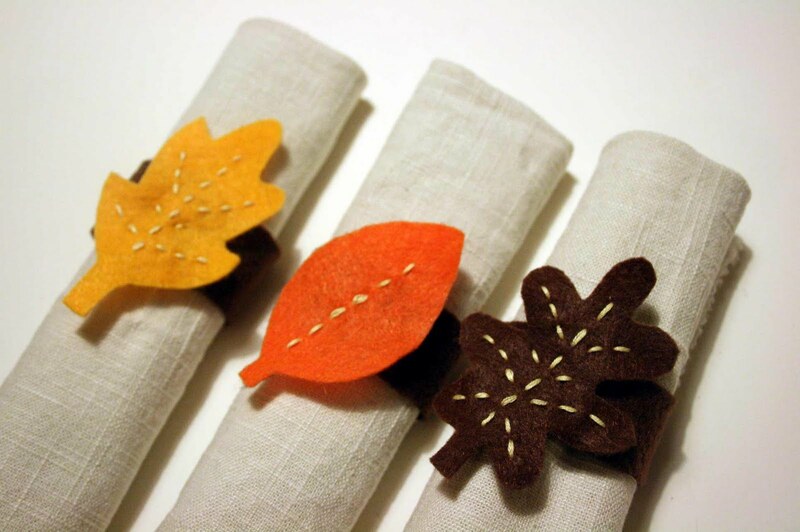 I wanted to help jazz up the table at my parent's house for Thanksgiving, and even though I'm terrified of working with felt (no really), I thought I'd give making some napkin rings a try :). 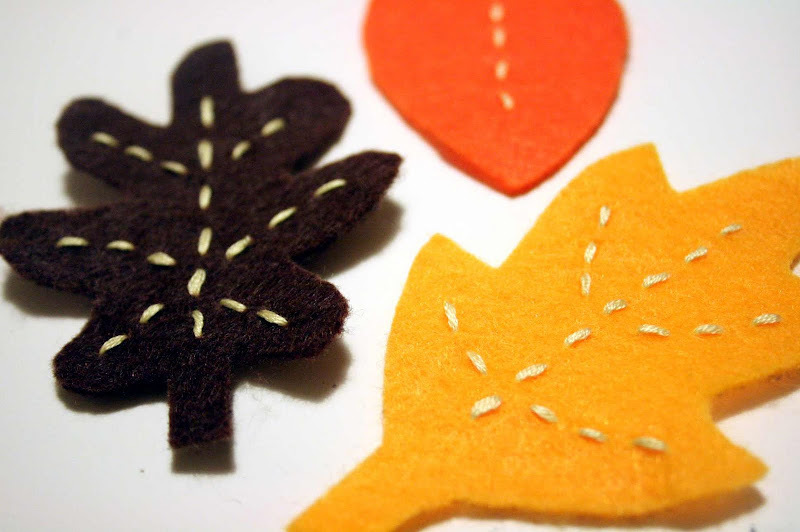 These little cuties are super quick and easy to make and don't require a sewing machine. 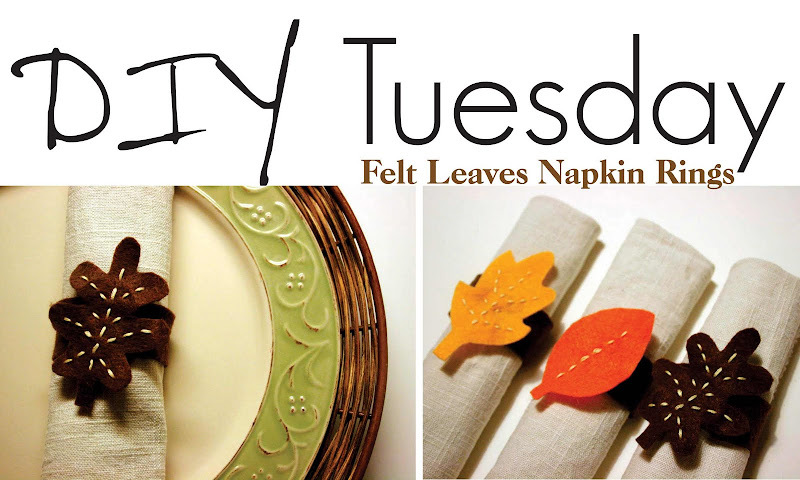 Perfect to make for Thanksgiving this week or to celebrate Fall. First, cut out the leaves from the template. 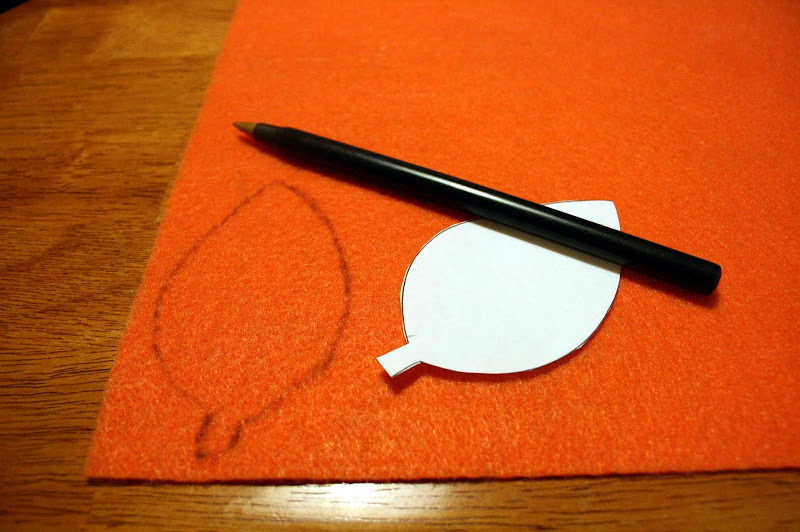 Next, trace onto felt using the pen or a pencil. 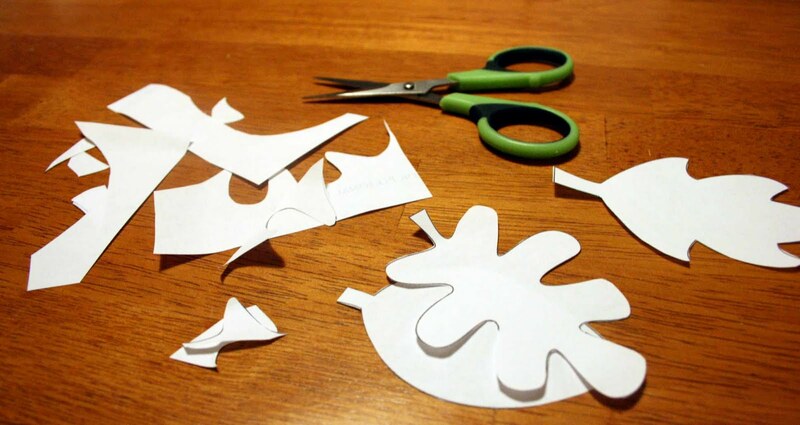 Trace as many as you desire to make. 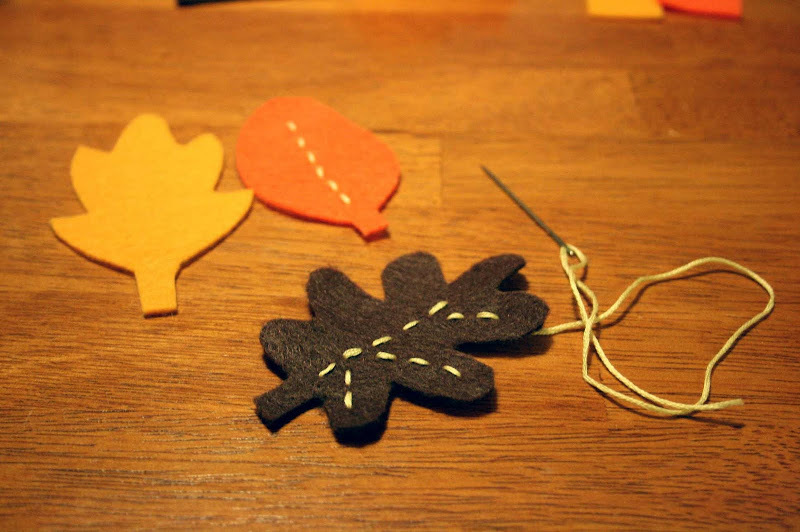 Cut out the leaves from the felt. 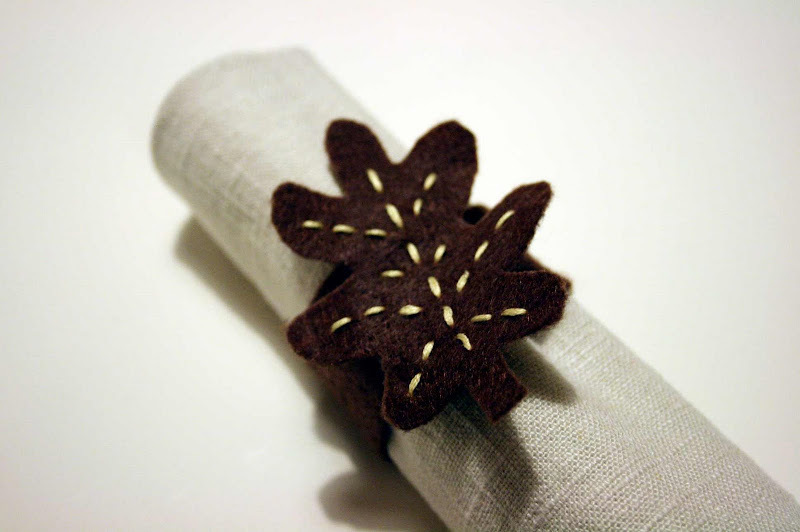 Now stitch the leaf "veins" using the embroidery floss and needle. Next, cut out the napkin ring strips. Mine were 6.5"x1". 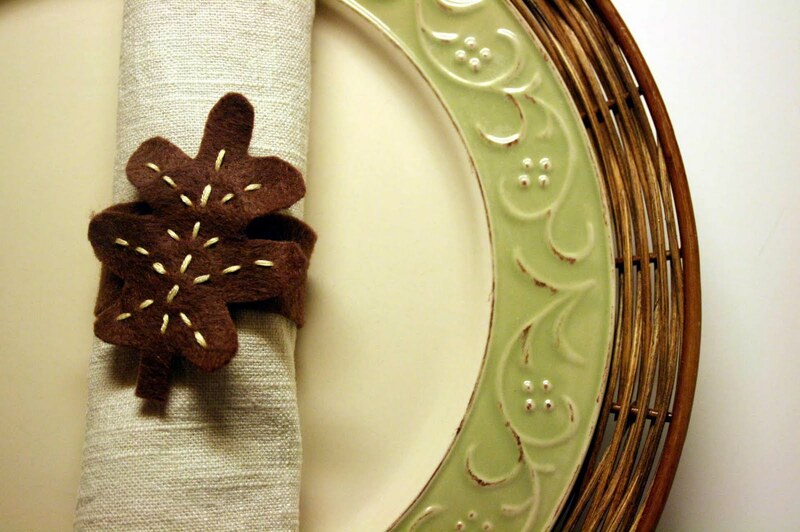 You can use a variety of colors for these strips, I chose to do all brown. 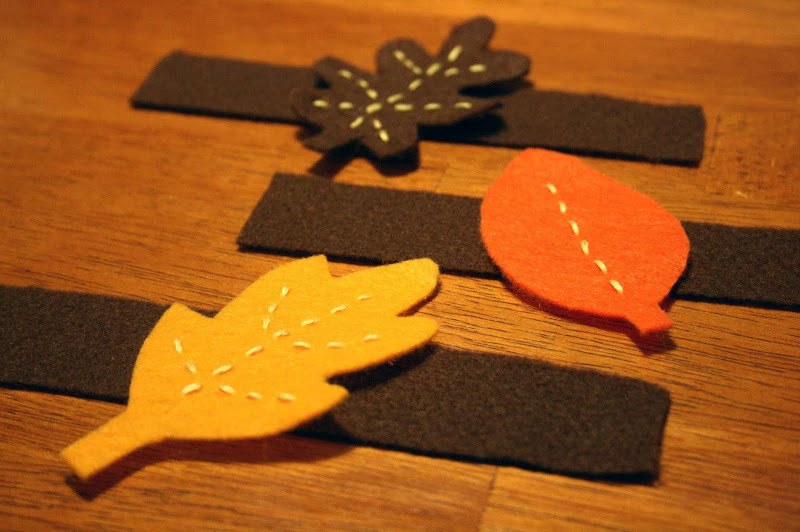 Next, the leaves need to be attached to the mid-section of the strips. 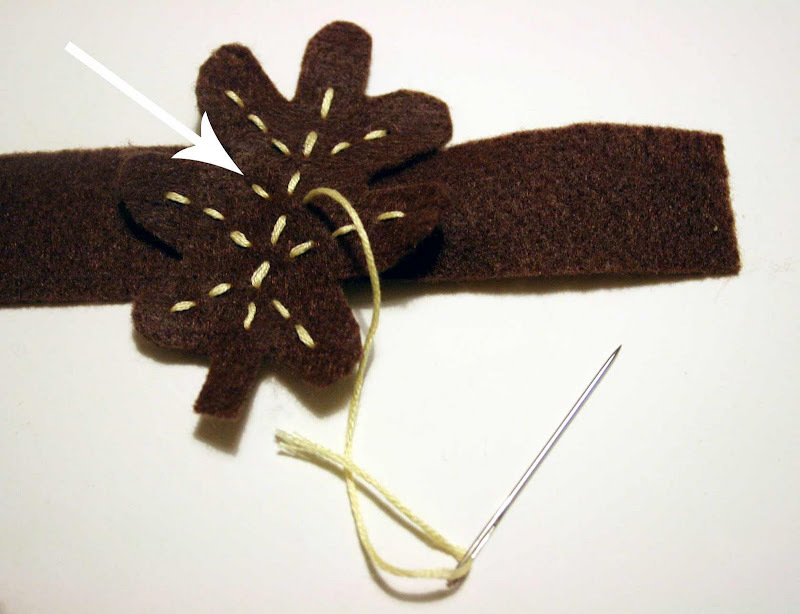 I just made extra "veins" that also doubled as stitching the leaf to the strip (see the arrow in the picture below - that's an extra "vein"). 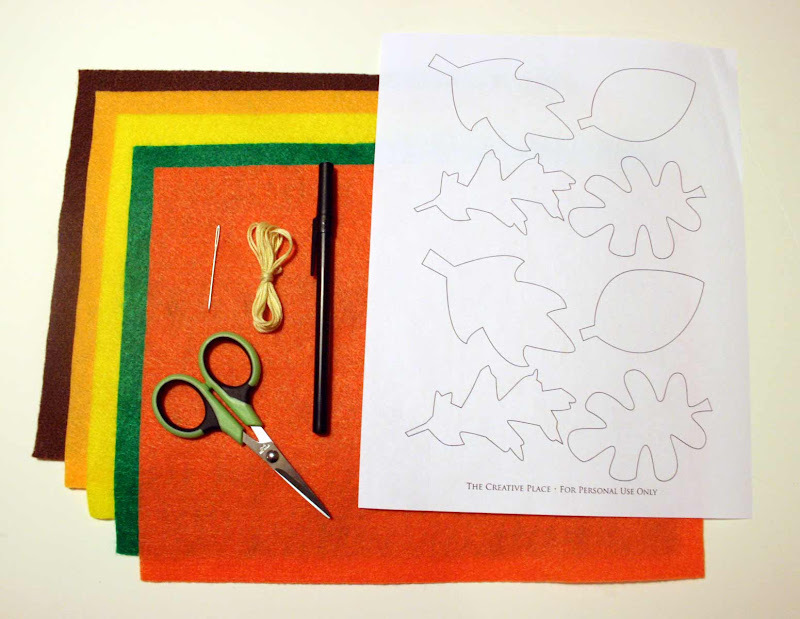 You could also double up on some of the stitches you already made in the leaf (or you can use a hot glue gun ;)). 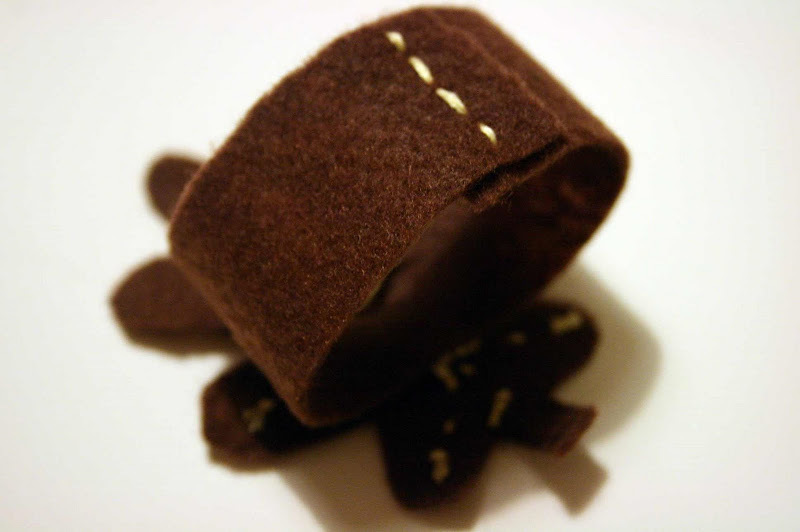 To finish them off, simply stitch the two ends together. 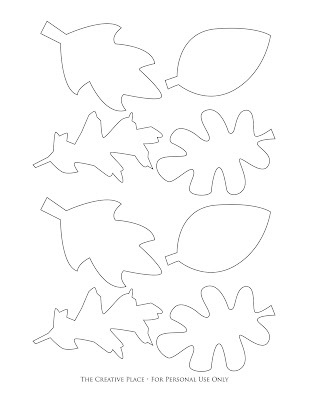 Template for leaves: Click to enlarge, right click to save and then print. Thank you so much... great DIY!!! They are so gorgeous! Definately going to try this out!